This Cambro LD85A110 black Camwear 0.75 oz. 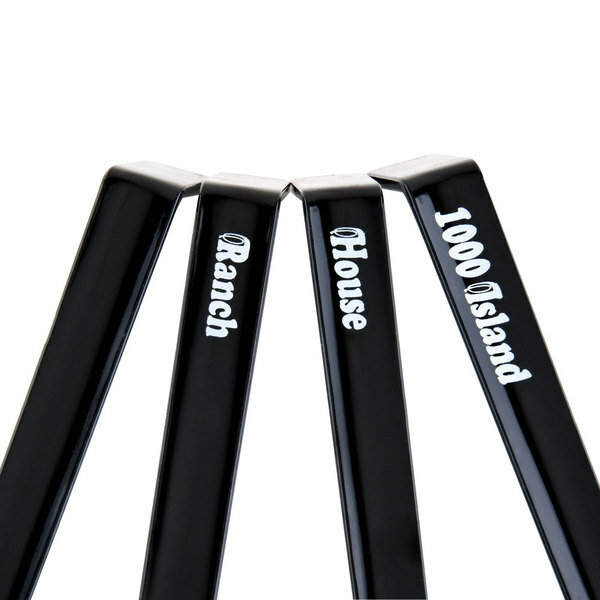 ladle set comes imprinted with all the popular dressing types you'll need to perfectly set up your salad bar. The set includes (1) Thousand Island, (1) French, (1) House, (1) Italian, (1) Bleu Cheese, (1) Ranch, (1) Low Cal, and (1) Caesar ladle, as well as 4 non-printed ladles for house specialties and other toppings. 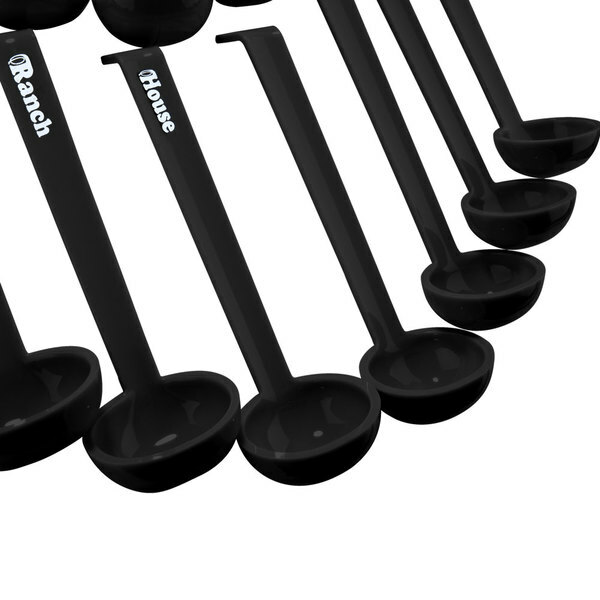 Each ladle has a 0.75 oz. 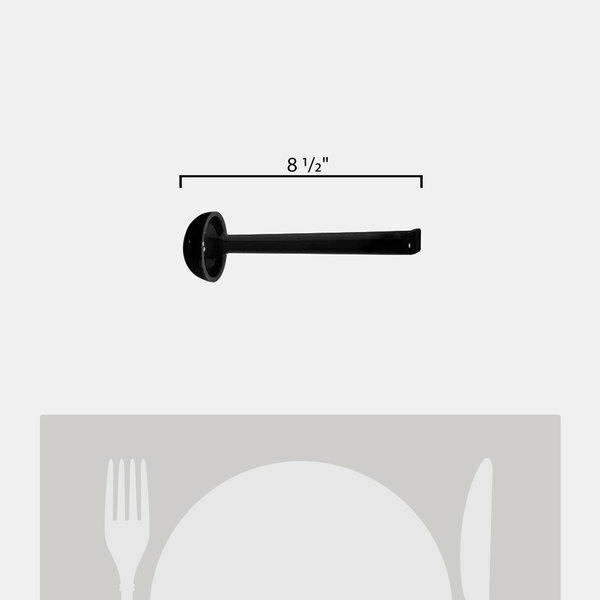 bowl to help you control portion size and reduce product waste. The ladles feature an angled design for easier handling, and a side rest to prevent the ladle from slipping into your crocks or serving bowls. 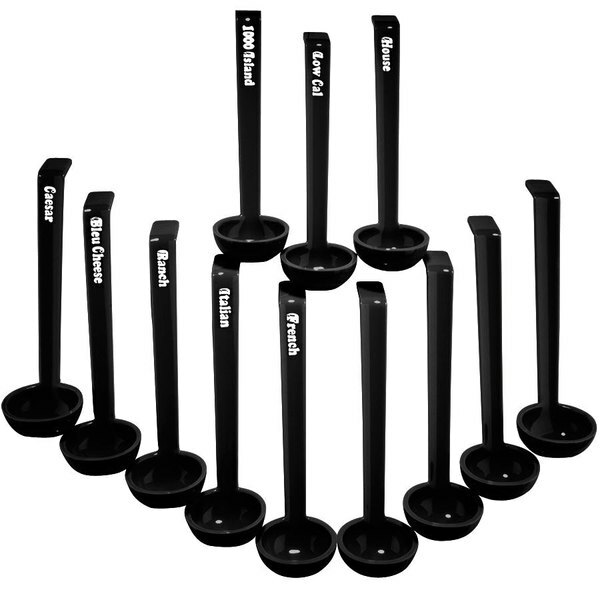 The Cambro Camwear 8 1/2" Black 12-Piece 0.75 Printed Ladle is a must have for catering events or buffets. 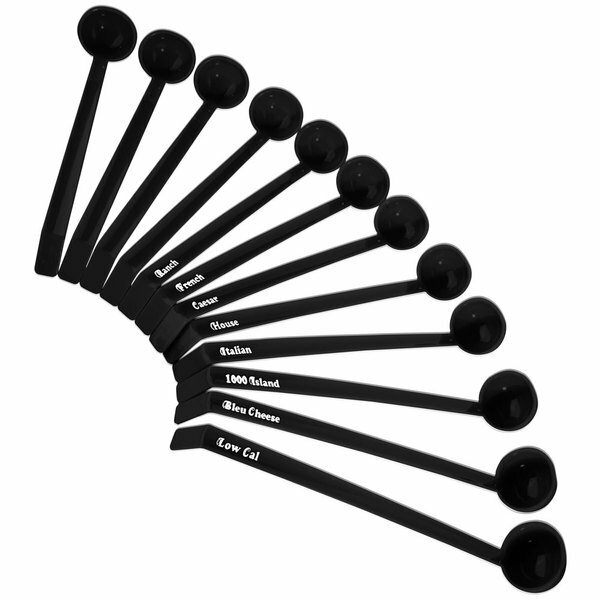 Each individual ladle has what is supposed to be used by the ladle written on the handle. They are durable, sturdy and dishwasher safe. 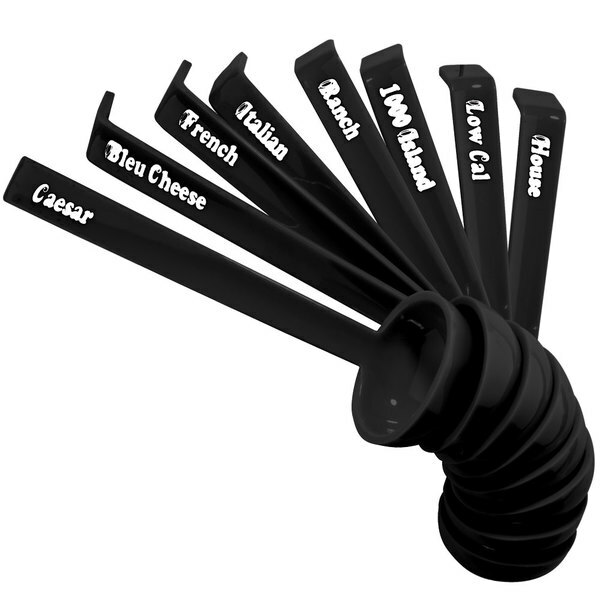 Great item for our buffet and even for our back of the house employees to identify the dressings easier. Sometimes dressings can look similar so having ladles that are labeled both reduce mistakes and questions.